We are about to launch our Crowdfunding Campaign – which mean it is time for you to book your tickets! This blog gives the full programme for the event and tells you how to go about booking your tickets – or otherwise supporting MMITD – through this Campaign. The Campaign is at www.crowdfunder.co.uk/medieval-music-in-the-dales. Please note that the site does not go live until the official launch at noon on Monday 15th February. 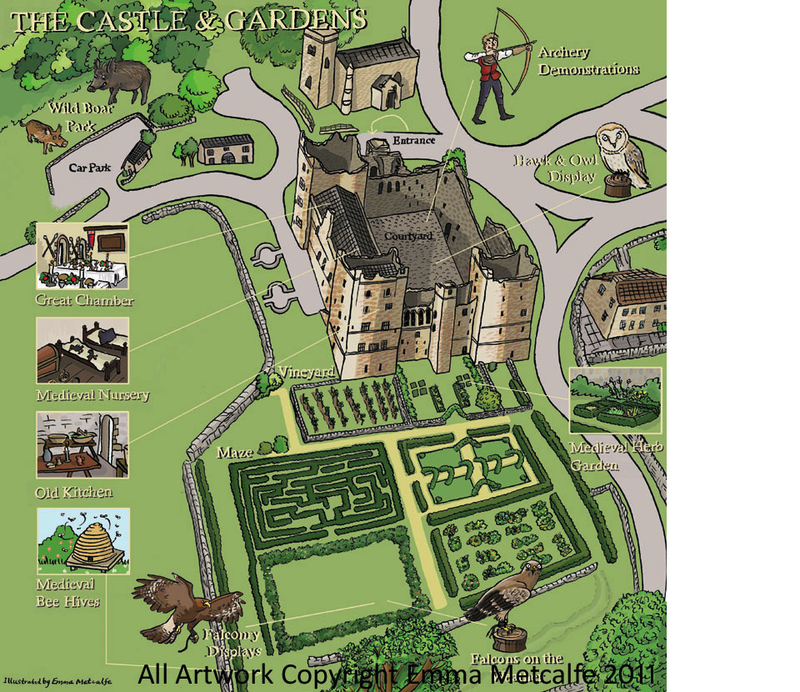 But if you would like a sneak preview of the site, here it is. You might not know how crowdfunding works, but it’s basically pretty simple. It’s a way of funding an project by attracting supporters who Pledge particular amounts of money in return for a Reward of some kind. So in its simplest sense, it’s a way of advance selling tickets for MMITD – the supporters Pledge the ticket price and in return you’ll get the Reward of a ticket. All the other Ticket Rewards offer tickets at a cheaper price than they will be available after the campaign – in other words, they are like Early Bird Tickets. We can’t emphasise enough that it’s vital to reach our goal, or we simply don’t get the money! We need to know that we have our sound financial footing secured, and we have the six weeks of the Crowdfunding Campaign to do it. Please sign up early, and also spread the word – and it’ll be plain sailing! A Performer Pass. This is the ticket for those who want to come to MMITD for all the same reasons as above, but also want to join in with the music by performing on our Open Stages. The deal is that Performer Pass holders get discounted tickets and other benefits in return for doing at least four half-hour sets over the weekend. All Performer Passes come with workshops built in and there are options to include Camping, and the evening Concert and Friday Feast. The Evening Events. If you want to book just for the Saturday evening Concert or for the Friday evening Feast, then there are specific Pledges for these. Other Ways to Help. You might not be able to get to MMITD in person but still want to help, or you may wish to lend us extra support on top of your tickets – very lovely in either case! There are a range of Pledges offering rewards like the CD of the event or our remarkable medieval-style Tile by the Company of Artisans, or our PDF E-Scroll of Thanks… Or you could be a Programme Sponsor and take an advert for your band or business in our programme… Or you could be a Luthier, Concert or Artist Sponsor. These last three offer great ticket packages but we are happy to discuss alternative benefits if you can’t come in person – just get in touch. There are a lot of possible Pledges, and hopefully these categories might help you wade through them and choose what’s best for you! But you may well be thinking, wow, I need a flow chart to work this out… Panic not – take a look here at our Online Charts that might help guide you through the options. And if you’re stuck, just drop me a line saying what you want to do and I’ll sort out the best options for you. DE indicates that this is a Daytime Extra – you will need a Reward that includes Daytime Extras to be able to go to these. When you Pledge for a Reward that includes Daytime Extras you will be sent a registration form inviting you to state your preferences for Daytime Extras, in order of preference. As far as possible, and on a first-come-first-served basis, you will get your top choices. If workshops are over-subscribed we will do our best to arrange a second session of that workshop and if you miss out first time around we will put you on the reserve list for a second session. Trouvere – Instrumentarium Workshop: A hands-on introduction to the principal familes of instruments in the middle ages. Taking a chronological approach, this gives a good idea of what kind of instruments were when, and their development over the centuries. 2pm in the Great Chamber. 90 minutes. Tom Hughes – Introduction to Medieval Bagpipes: Exploring the history and folklore of bagpipes, different forms, evidence in medieval records and iconography. How the instrument works with a chance to have a try, using pipes loaned by the Bagpipe Society. 3.30pm in Lord Scrope’s Chamber. 1 hour. Lizzie Gutteridge: Reed-making Workshop One: Participants will make one or two reeds over the course of two 90-minute sessions (please note this counts as two workshops) with advice on reed and instrument adjustments. 10.30am in the Great Chamber, 90 minutes. Cait Webb and Gaita – Fifteenth Century English Dance: Recreating the dances described in the late fifteenth-century Gresley manuscript. 10.30am in the Great Chamber. 90 minutes. Music from Gaita. Blondel in Concert: Zephyrus With His Swete Breathe: Music from the 14th and 15th centuries on recorders, bagpipes and shawms. 12.30pm in St Oswald’s Church. 1 hour. Paul Martin – Bagpipe Workshop: A look at medieval tunes with ideas on ornamentation. Suitable for any except complete beginners, G pipes. 1.30pm in Lord Scrope’s Chamber. 1 hour. Charlotte Ewart – Thirteenth-Century Dance: Historically informed interpretations of the high medieval estampie. No choroegraphy survives from this early but this workshop explores the possiblity of recreating a convincing estampie based on the music, the literature and the iconography. 1.30 pm in the Great Chamber. 90 minutes. Music from Trouvere. Leah Stuttard in Concert: The Wool Merchant and the Harp: Fifteenth century music for dancing and singing based on the records of George Cely, a wool merchant apprentice now preserved in the National Archive. 2pm in St Oswald’s Church, 1 hour. Philippe Bolton: Recorder Maintenance: Looking at (a) how to safely remove the block from the recorder, check the condition of the windway and remove any dirt or fungus, (b) how to replace leaking joints and (c) some techniques for tuning adjustments. It will also be a surgery if you have any particular problems with your own instruments. 2.30pm, Lord Scrope’s Chamber. 2 hours. Gaita in Concert: Music from the Courts of France and Italy in the thirteenth and fourteenth centuries. 4pm in St Oswald’s Church. 1 hour. Charlotte Ewart – Thirteenth-Century Dance: Historically informed interpretations of the high medieval estampie. No choroegraphy survives from this early but this workshop explores the possiblity of recreating a convincing estampie based on the music, the literature and the iconography. 10.30am in the Great Chamber. 90 minutes. Music from Trouvere. Gill Page – Working with Medieval Sources: An introduction to sourcing medieval manuscripts online and how to begin using them in your music, leading onto the basics of the palaeography of musical notation and written script. 10.30am, Lord Scrope’s Chamber. 90 minutes. Richard de Winter – Medieval Song: The workshop is in three parts: (1) introduction to plainchant and learning a simple piece of melismatic chant, (2) secular song – the challenges of performing in medieval language to a modern audience and in particular story-telling in medieval song, and (3) trying out some magnificent medieval polyphony. 12 noon, Lord Scrope’s Chamber, 75 minutes. Paul Martin – Bowed Strings: Looking at some medieval tunes with a focus on the use of drones, and also bowing rhythms and emphasis. Suitable for vielle, rebec, crwth and also for modern violins retuned to an open G chord. 1.30pm, Lord Scrope’s Chamber. 1 hour. Steve Tyler and Katy Marchant in Concert: Medieval music on hurdy-gurdy, bagpipes, shawm, psalterio, gothic harp and recorder, with an emphasis on the 14th century. 1.30pm in St Oswald’s Church. 1 hour. Cait Webb and Gaita – Fifteenth Century English Dance: Recreating the dances described in the late fifteenth-century Gresley manuscript. 2pm in the Great Chamber. 90 minutes. Music from Gaita. Lizzie Gutteridge: Reed-making Workshop Two: Participants will make one or two reeds over the course of two 90-minute sessions (please note this counts as two workshops) with advice on reed and instrument adjustments. 2.30pm in the Great Chamber, 90 minutes. Trouvère in Concert: The Revel & the Melodye: Music from medieval England, with Richard de Winter; songs from five centuries of English history. 3pm in St Oswald’s Church, 1 hour. And last but not least from Italy we have Danilo Turchetti with his magnificent bagpipes. I’ve made three applications for funding so far. The major one is the Grants for the Arts application to Arts Council England – this is for about 55% of the total funding, so is obviously fairly significant! It was clear to us that MMITD is a pretty unique event that will involve a huge number of musicians and crafts people, and it seemed perfect… With all the pressure on the public purse at the moment, nothing can be taken for granted, but we will know by the end of January if our bid will be successful. Please keep your fingers crossed – it was a major undertaking just completeing the paperwork!!! I also considered special interest groups that might like to back MMITD. I was really delighted to hear that The Bagpipe Society were offering grants. They were really happy to support MMITD, specifically and for the most part to fund the travel expenses to the UK of Danilo Turchetti of Musica Inspirata, who is busily reinventing the medieval bagpipe to exquisite effect. I’ve also looked at local funding sources, and recieved good advice from the Dales Tourism Business Network. And I’m delighted to announce that the Yorkshire Dales National Park Authority Sustainable Development Fund has granted us £700 to support the marketing of the event. Open to any individual, business, community group orvoluntary sector body, the Yorkshire Dales National Park Authority Sustainable Development Fund provides a simple and accessible source of money for a range of projects that result in positive benefits fro the National Park, its env ironment, its economy and its communities, while enhancing and conserving local culture, wildlife and landscape. It’s wonderful that they have decided to assist MMITD in this way. Our crowdfunding campaign will be our other major means of fundraising for MMITD. Crowdfunding is a great way of cooperating to make something happen and another great boon of the internet age. Sites like Kickstarter or Crowdfunder allow causes and projects to promote themselves to anyone interested, in the hope of gaining financial support. Supporters can contribute to the project financially by making pledges, and in return they get rewards. From the start, we thought this would be a great model for MMITD as a way for supporters to book advance tickets – at the most excellent prices, naturally – and other benefits. Thus people who can’t actually come along to MMITD might be interested in the CD or DVD of the event or one of the other commemorative items. Crowdfunding also opens up the option for supporters to sponsor aspects of the event, and indeed to make contributions just because they (rightly!) love the whole idea! Crowdfunding campaigns typically set a target that they have to reach. on this model, if the target is not reached, the campaign fails and all support is cancelled. So we really want to encourage everyone to get on board and book their tickets good and early so that the campaign will succeed and we can go forward with the clearest idea of our total funding. There will be a range of tickets available as supporter Rewards. One of the Rewards will be the Performer Pass – the cheapest ticket of all and only available as a crowdfunding Reward. This is for those who want to take part in the Open Stages and be part of the music-making. Crowdfunding tickets will be cheaper than those available later! You can make more than one pledge! When you make your Pledge to buy a ticket, I will be in touch with a booking form. As appropriate, you can specify all your choices for workshops on this and – if applying for a Performer Pass – also give details of your performance, instruments, repertoire etc. And – most important – we’ve got to reach the target by Easter!!! Full advance details of the full range of pledges and rewards will be released in the first half of February. Please help us all out by joining in the Crowdfunding Campaign. This is a frankly splendid idea. I caught on to it because I saw a Facebook post from the Oxford Folk Weekend announcing that they had raised several hundred pounds for their very splendid event via this ‘easyfundraising.org.uk’. I looked it up and saw it could be a great way to raise money for MMITD. Here’s how it works. Whenever you buy anything online – from your weekly shop to your annual holiday to your car insurance – you could be raising a free donation for Medieval Music in the Dales There are nearly 3,000 retailers on board ready to make a donation, including Amazon, John Lewis, Aviva, thetrainline and Sainsbury’s – and it doesn’t cost you a penny extra! Join – Head to easyfundraising.org,uk and sign up for free as a supporter. Raise – After you’ve checked out, that retailer will make a donation to your good cause for no extra cost whatsoever. There are no catches or hidden charges at all – it’s a win-win all round. For example, I most recently bought a few Christmas presents at John Lewis and got a £1.35 donation! A £40 train ticket booked through thetrainline earnt £0.64. Even a film rented on Amazon bought a few pennies.. I’m sure you can see how it can all add up – but we really need a few more of you good people to sign up as supporters. Give it some thought? Once you’re signed up, you can also install an easyfundraising Donation Reminder on your computer, which will give you a handy little reminder whenever a donation is available when you’re shopping online – so you never miss the chance to donate. When you see the alert, just click to activate your donation. It’s as easy as that! Shoppers who use the easyfundraising Donation Reminder raise five times more donations for their cause because it helps them remember. You’ll love it and we will too! 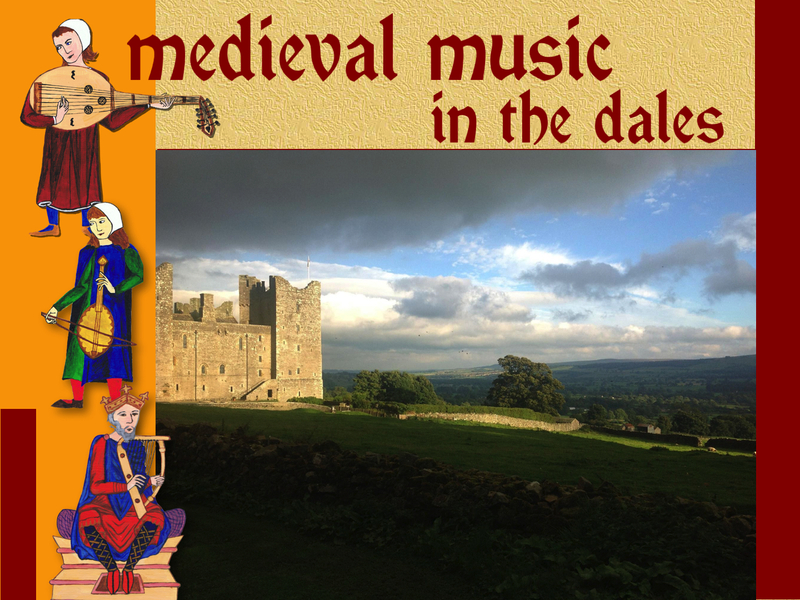 Find out more and help raise five times more for Medieval Music in the Dales here. Also, if you shop on your mobile or tablet, you could get the free easyfundraising app and again you’ll never miss a donation. To get it, visit the App Store or Google Play and search for ‘easyfundraising’ or find out more here. And there are a couple more very likely but still to be confirmed (we like to keep you guessing a bit…) Full details will be confirmed in the next newsletter – out in early February. There’s no getting away from it, the Yorkshire Dales are one of the most splendid areas of outstanding natural beauty in the country. Being able to have our event in such a stunning location is a definite plus. The Yorkshire Dales is the second largest national park in England after the Lake District. One of its most distinctive features is its network of drystone walls, and there are 8689km of them! They are formed from the limestone that is the bedrock of the Dales and which contributes so much to its unique character. The Yorkshire Dales have been shaped by thousands of years of human occupation, with each dale having its own special character. One of the most fascinating finds in the area is the Iron Age bone flute found near Malham – so MMITD is part of a very long musical heritage indeed! Pictures courtesy of The Yorkshire Dales National Park Authority.